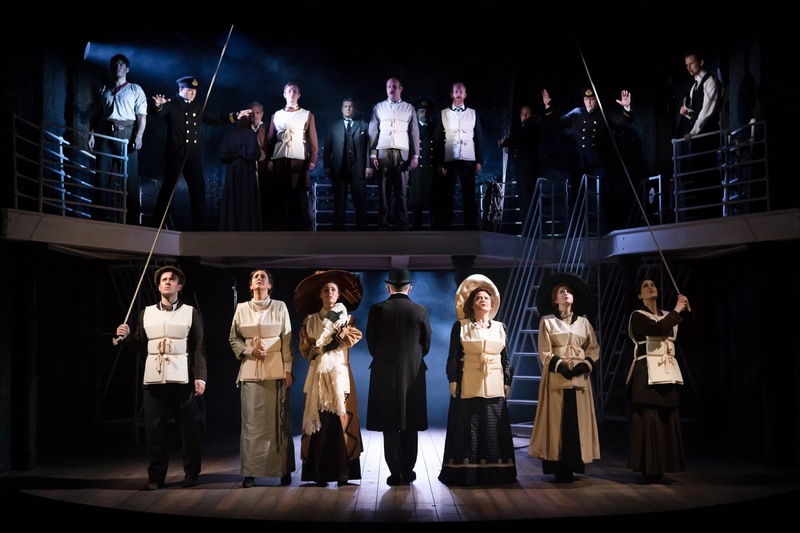 Unlike its ill-fated namesake, Thom Southerland’s Titanic has now made a triumphant trans-Atlantic return crossing, tying up at London’s Charing Cross Theatre for a 10 week season. Acclaimed at the Southwark Playhouse three years ago and later in Toronto, this riverside reprise marks Southerland’s debut as Artistic Director at Charing Cross, with his long time muse Danielle Tarento also on board as co-producer. 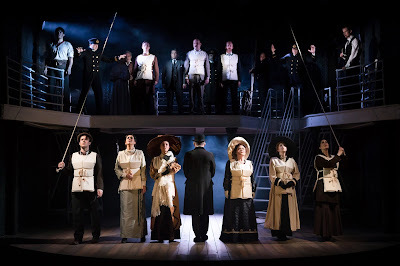 Adapted for the stage by Peter Stone and Maury Yeston, the musical tells of the 1912 tragedy when the RMS Titanic hit an iceberg on its maiden voyage, sinking mid-Atlantic with the loss of more than 2,000 lives. Yeston was drawn to the project by the positive aspects of what the ship represented: Humankind’s striving after great artistic works – with his show following the very different arcs of the ship’s owners, builders, passengers and crew. The casting for this production is, for the most part, magnificent. 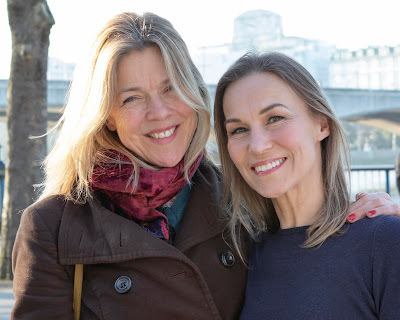 A fair few members of the original production have returned to reprise their roles and with Yeston’s score so beautifully conducted by Jo Cichonska, it’s not surprising. The strength of the onstage pairings such as Dudley Rogers and Judith Street as the wealthy Strauss couple or Victoria Serra and Shane McDaid’s loveable Irish runaways, Kate McGowan and Jim Farrell, make a couple of tiny casting flaws elsewhere very easy to overlook. Serra (magnificent in the original Titanic as well as last year in Southerland’s Grand Hotel) shines as McGowan. Energetic and youthful, her larger than life personality makes her character unforgettable. Even amidst the ensemble where she plays a modest role as one of the first class passengers, Serra stands out. There is marvellous work too from James Gant as Etches, a steward in first class. Gant plays his character with warmth, a fatherly figure to the ship’s younger crew members. Making strong choices in his acting, there isn’t a point where the audience doubts him. As the ship is sinking he attempts to gather passengers calmly, although with a fear that is physically visible, not only in his face but in his whole body. One can see that behind his calm and cool demeanour the man is truly terrified. It is a performance that is almost troubling to watch. The accomplished Claire Machin is unsurprisingly hilarious in her role of socialite “wannabe” Alice Bean. Her timing and characterful wit on stage provides moments of light relief in the otherwise harrowing tale, partnered with Peter Prentice, who plays her husband Edgar Bean, the two have a wonderful back and forth yet amidst the bickering, their moments of tender romance are joyously believable. And one to watch is Luke George playing a fresh-faced and innocent 14 year old bellboy. Beautiful acting, with every choice he makes looking like that of a young child and with a vulnerability in his performance that makes you believe his age. David Woodhead’s design is minimalistic but effective, using the basic framing of bars to create the appearance of the ocean liner's deck, with the theatre itself repainted to match the colour of the set. Looking up from the stalls, the circle resembles the Titanic’s upper deck. Throughout, Howard Hudson’s wonderful lighting only seals the nautical illusion, as Cressida Carre's choreography remains as sensitively powerful as it was three years ago. What has been produced at Charing Cross is a gripping and beautiful production that makes for a deeply moving night at the theatre. Bravo to Tarento and Southerland for sailing Titanic back to London.